Nassim Nicholas Taleb in his book Antifragile: Things That Gain from Disorder (Incerto) coined the term Antifragility. It refers to systems that increase in capability, resilience, or robustness as a result of mistakes, faults, attacks, or failures. Antifragile systems actually get better through uneven or random inputs from the environment. The more the better (up to a point). In today’s post we will examine how a small grocery store in Austin Texas became a $13 billion operation in less than 30 years by being Antifragile. 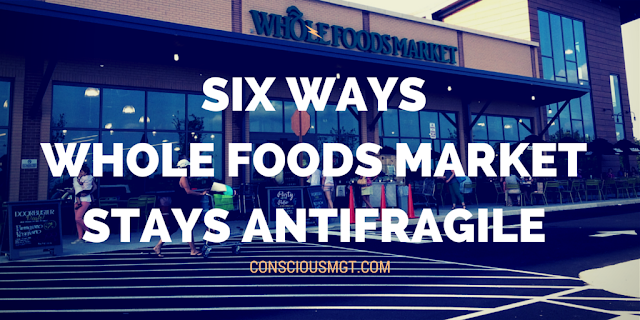 We will compare the antifragility of Whole Foods Market to the fragility of most other businesses. From the start, John Mackey was collaborating with others. The business was started with a co-founder. His father was a close adviser for the first several years they were in operation. Even today, instead of being the CEO, he is in the role of co-CEO. The collaboration extends well beyond the C-suite and into every store they own. If one store has a great idea, they try it out. If it works, they share the idea and others stores can experiment with it. Those who tap into the power of collaboration, by definition, become more Antifragile. Compare this to the extreme fragility of the old command and control model still used in most businesses today. From the start, Whole Foods Market was creating raving fans. When the original store was wiped out by a flood of “biblical proportions,” the customers in the area actually showed up a few days later to help clear out the mud, make repairs and get the store back up and running. This same loyalty of the customers exists today (although flood clean-up is usually not required). If your customers would say you would be missed if you were gone, you are Antifragile. Contrast that with most businesses who might not even be noticed if they closed up shop. Whole Foods does not exist solely to make money (although they must do that to stay in business). Instead, they are in business to bring the best food ever to the whole planet. That is their higher purpose and it drives everything they do. Every decision they make. The Antifragile power of a Higher Purpose cannot be underestimated. It truly fuels the business and the people who work there. Contrast this to other businesses who have jumped on the organic and natural foods bandwagon but do not care or even understand it. Not much power there. Whole Foods listens. They listen to their employees. Their customers. Special interest groups. People concerned with the environment. And they take action on what they hear. An example is a group concerned with animal welfare and how livestock is treated on the big factory farms. Whole Foods totally revamped the way they did business in this area and created a rating system to objectively measure this aspect of food production. They have done similar things when it comes to seafood, local farmers, and now most recently, the requirements to better serve the Millennial generation. 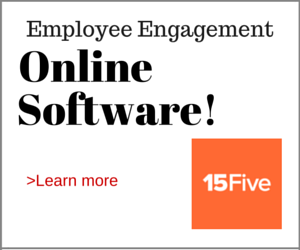 Compare this to most businesses who actively try to ignore input from anyone. John Mackey as an owner-operator by definition has “skin in the Game.” This makes the business extremely Antifragile because it is his own business that will benefit or suffer based upon decisions they make. Contrast this to the more common corporate business model where the managers typically have huge incentives without disincentives (no skin in the game). This makes the business fragile and--in the long run--the only people who benefit are the corporate managers themselves. What can you learn from Wholes Foods to become more Antifragile? Does your organization rely upon the old fragile corporate systems and mindsets or is it actively working to become more Antifragile? For some more insights on how antifragility is showing up in businesses, check out this new post by our friend Si Alhir here. Is the NY Times Piece Right About Amazon?